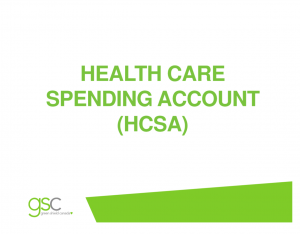 SCETF wrapped up its first, albeit truncated, benefit year after having launched our first Health Care Spending Account (HCSA), effective March 1st, 2018. Members were allotted $750 for a single account and $1500 for a family account to be used towards medical expenses, approved by the Canada Revenue Agency (CRA), that are not funded, or that are not fully funded by the ETFO ELHT. The SCETF HCSA is meant to enhance, but does not replace, your coverage under the Provincial Benefits Plan. To be clear, you have coverage, as a SCETF Member, under two benefit plans. The first payor, for all coverage, is your ETFO ELHT Health and Dental Plan administered through OTIP. Second payor, meant to supplement your Provincial coverage, is your Health Care Spending Account administered through Green Shield Canada. From June 15th to June 29th, the SCETF Benefits Committee permitted an open enrollment period for the SCETF HCSA. This allowed SCETF Members who had a single account, but have a family (spouse, and/or, dependent child(ren)), to register as a family and list their spouse, and/or, dependent child(ren) without proof of good health. Those SCETF Members registered as a single account also received an email from Green Shield in mid-June with information on how to register for a family account if their status changed mid benefit year. No action was needed for those SCETF Members who already had a family account. No action was needed for those SCETF Members who had a single plan and were not eligible for a family account. Please remember that all SCETF Members have a 31-day eligibility period to make changes to their enrollment status as a result of a life changing event (birth, death, divorce, separation etc.) at any point in the Benefit Year. All registered accounts reset on September 1st, 2018, and will end on August 31, 2019. Members will have 90 days from September 1, 2019, to file any claims from the 2018-2019 benefit year which will have just ended. Any expenses filed after the 90-day period for that benefit year will not be considered eligible. Medical expenses will be eligible for reimbursement if they are CRA approved health and dental expenses. SCETF Members can access the lists of eligible expenses on the CRA’s website. Green Shield Canada should be contacted prior to paying in order to confirm the eligibility of expenses. Members will have to first claim all expenses under the ETFO ELHT plan, and any other plan under which they have coverage, before claiming expenses under the HCSA. The SCETF HCSA is considered to be the last payor on any claim. SCETF members need to make sure that they print their Explanation of Benefits (EOB) from the OTIP website and file it as proof of first payment by the ELHT in case they are subjected to a random audit. EOB’s should be kept on file for a period of 12 months. The Health Care Spending Account is conditional on the availability of surplus funds which are being held in trust for SCETF. The ongoing availability of the SCETF HCSA will be contingent on usage, interest rates and demographics. The SCETF Benefit Committee will examine the usage and other factors before making recommendations to the SCETF Executive in order to determine how the SCETF HCSA will continue to operate. Please note that ETFO has final authority on this matter. Please click on the image below for more information.